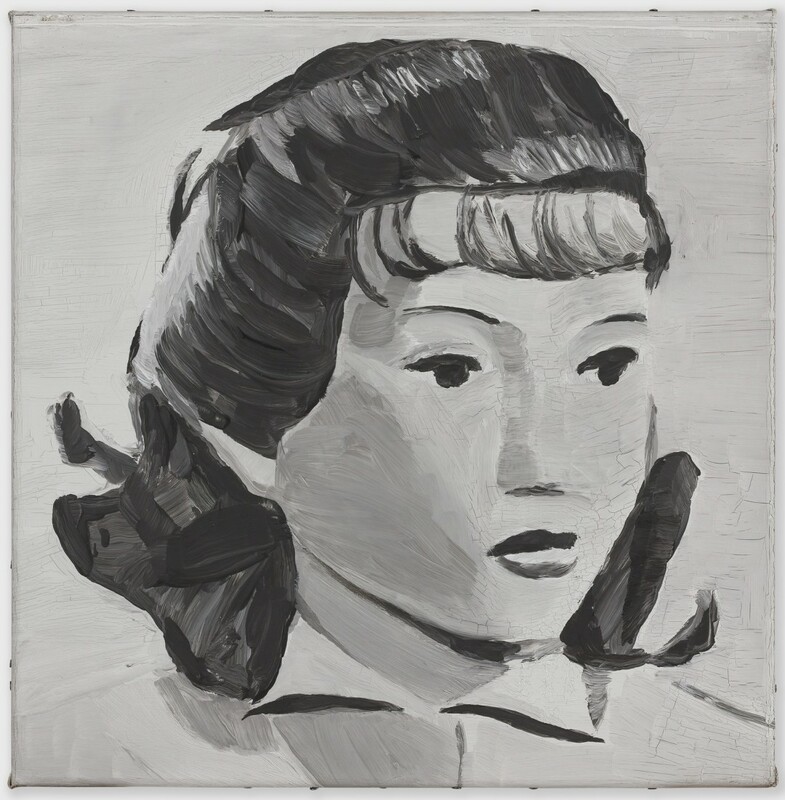 New Menil Collection exhibition reveals the banality of Belgian painter Luc Tuymans. One of my college art history professors once argued that the great Belgian artist René Magritte took to painting his characteristically surreal images—men with apples hiding their faces, levitating boulders, pipes that are not pipes—because he simply wasn’t a very good painter. Lacking the ability to distinguish himself by his virtuosity, Magritte decided to rely on his wit and imagination. I recalled this observation while viewing the work of another provocative Belgian artist, Luc Tuymans, at the new Menil Collection exhibition devoted to his work. 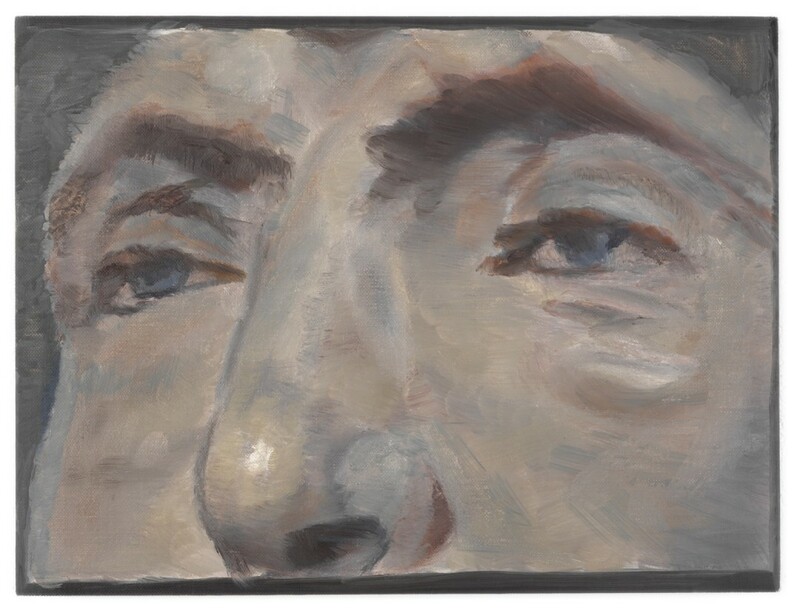 Born in 1958, Tuymans began painting in the late 1970s, when many artists were rediscovering the utility of realism after the decades-long ascendancy of abstraction. Fascinated by history, philosophy, and the European cultural tradition, Tuymans took to painting seemingly banal scenes with subtly concealed political resonance. His 1978 portrait “G. Dam” shows a middle-aged man in shirtsleeves and tie facing the viewer. Only the knowledge that the subject is Tuymans’s uncle, who was killed in the Resistance in World War II, lends the painting emotional significance. Like “G. 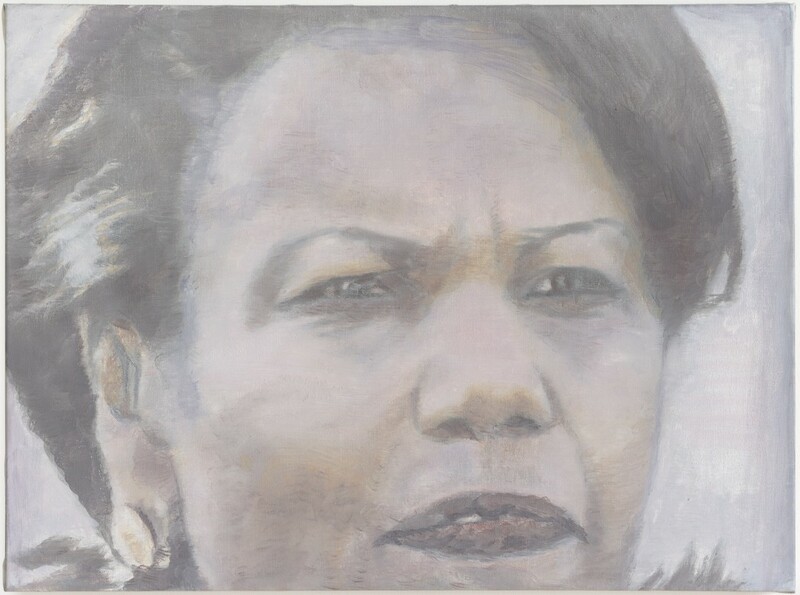 Dam” (which isn’t in the exhibition), all 30 of the Tuymans paintings in the Menil Collection exhibition are portraits. 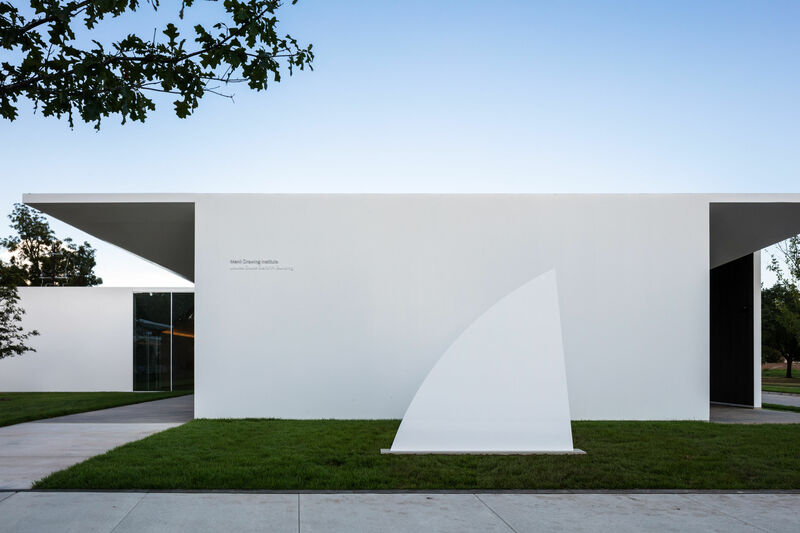 These are paired with 26 works from the Menil’s permanent collection that were selected by the artist in collaboration with co-curators Toby Kamps and Josef Helfenstein. Ranging from a 1200 B.C. Syro-Palestinian mask to an Andy Warhol silkscreen, these works seem to represent Tuymans’s idiosyncratic version of art history, against which he immodestly arrays his own contributions to the tradition. 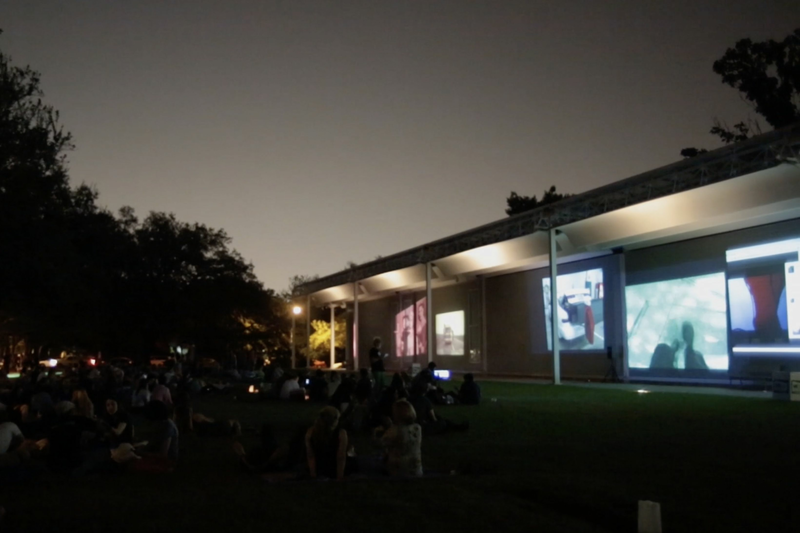 The Menil frequently pairs contemporary work with older art from their collection, a strategy that has worked well in the past, illuminating both the older and the newer art. Given the impressive curatorial team and the obvious care that went into the Tuymans exhibition, it’s disappointing to have to admit that, in this case, the artist’s work does not measure up to his illustrious predecessors. Magritte also did the imagery of distrust—“This is not a pipe” is the most famous disavowal of realism in the history of art—but he did it with sophistication and wit. Yes, many of Magritte’s paintings are ambiguous, but you certainly don’t need the artist to supply arcane nuggets of Belgian history to interpret them, as you do with some of Tuymans’s work. 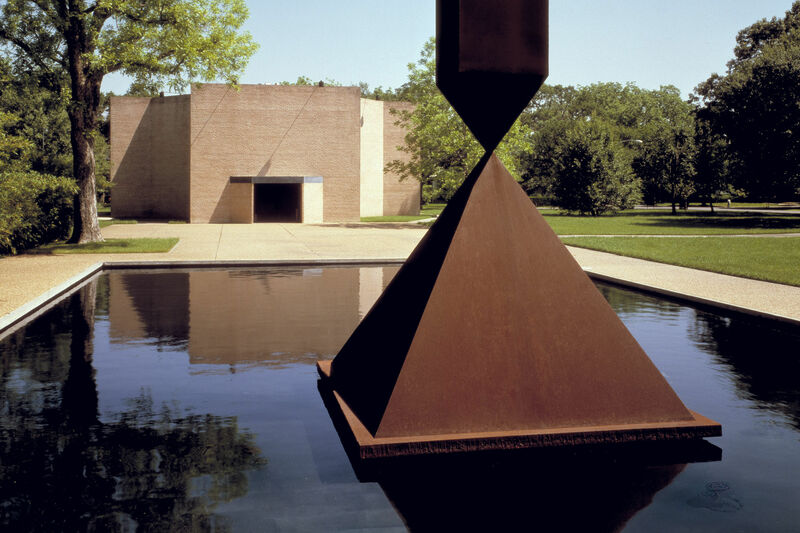 It seems ungrateful to complain about poor technique in art that dissolves reflex criteria of judgment and fertilizes richly detailed ambivalence. But someone has to say it: Tuymans is simply not a very good painter. His portraits are amateurish, like first-year art students painting models for the first time. According to his apologists, this dilettantism is intentional, part of the point. Anyone who refuses to see the profound significance of bad painting risks being tarred as a philistine, or worse, a reactionary seeking to return painting to the barbaric days of academic salons. Tuymans chooses to paint his canvases in a single day, and to use the cheap oil paints he used as an art student, his partisans declare. According to co-curator Toby Kamps, the artist’s “deliberately amateurish distortions in anatomy and short, choppy brushstrokes keep the viewer perpetually estranged.” Estrangement, as so often in contemporary art, is taken to be the summum bonum, no matter the purpose of the estrangement. In Brechtian theater, the Verfremdungseffekt is meant to wake the audience up to their own economic conditions of existence; in Tuymans, estrangement is a pose, a hipper-than-thou declaration of the artist’s jaundiced attitude toward the world. Ironically, Tuymans once echoed my college professor’s observation about Magritte, calling him “no painter, but a great artist nonetheless.” Tuymans is neither a painter nor a great artist, and not even the best efforts of the Menil’s top curators can make him into one.